SoKind Registry - Welcome to the World, Baby Keith! Get inspired!You're viewing a sample baby registry. Welcome to the World, Baby Keith! Baby Keith is coming! We're throwing a baby shower to celebrate with family and friends. Calling all friends and family in the Portland area! We are creating a meal schedule for the first few weeks after baby Keith arrives. Sign up for a meal, and we can contact you to coordinate what day or time works best. We’d also love to have a few frozen dishes we can heat up anytime! If anybody has a glider or rocking chair that you’re ready to pass along, we would really appreciate it for Keith’s room! We would love for an experienced parent to come over and help us babyproof our house. We want to make sure our home is safe without going overboard. We would love a copy of this book (new or used)--our friends say it’s the best! 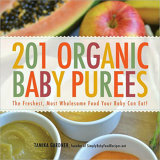 And if you want to throw in some frozen baby purees, we will be forever grateful! 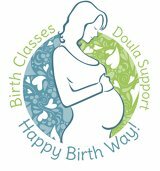 We would love the help of a doula during and after the birth of the baby. A gift card that covers the cost of a birth doula along with some postpartum visits would be very much appreciated! We were both blessed to have access to excellent educations. We'd like our son to have this same access, from early childhood education through whatever college experience he may aspire to. If this is meaningful for you, too, this is one of the most special ways you can help us prepare to be his best supporters! We are planning to use cloth diapers after the first few weeks, and we have a supply of second-hand diapers from several systems. 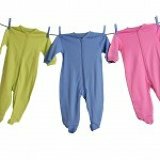 We're quite sure we need: (1) a session before baby is born helping us understand what we've got and still need, and (2) a session specifically focused on how to fasten diapers, wash them, and how often to change. Whether it's a stroller walk as spring buds out, or some swing time as baby gets a bit older, we have lovely parks and creekways within walking distance of our house. We'd love your company on some local outings, whether in our neighborhood or in your favorite spot. We're planning to use both cloth and disposable diapers. 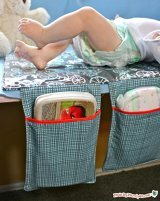 Help us make an investment in our cloth diaper stash!